OpeMed is the expert in providing safe, comfortable and efficient transfer systems. We have many years experience in designing and manufacturing bespoke solutions at our factories in the UK and Netherlands, allowing us to become the market leader in many countries. Our Product Consultants have in-depth knowledge in specifying transfer and care equipment which saves valuable time and cost for our clients worldwide. OpeMed offer professional advice from the room-layout through to the installation, aftercare support and training. As no two buildings are the same, OpeMed focuses on the design of bespoke solutions, which set us apart from the competition. Our products are high quality, innovative and are all individually tested to the latest international standards. OpeMed’s transfer equipment enables the carer to fully concentrate on the user, ensuring the transfer, washing and bedside care is easy, safe and streamlined. By not using the correct equipment, needless injuries are caused to both the caregiver and patient. OpeMed’s experience and knowledge reduce this risk dramatically. For gait training, bariatric handling, physiotherapy or hydrotherapy OpeMed have the knowledge and experience in specifying the correct specialist equipment. Right equipment can save significant time in transferring, washing and changing. Particularly in hospitals, schools and long-term care this time saving directly equates to tangible cost reductions. OpeMed’s innovative product range combined with understanding our users needs, ensures the transfer is comfortable, safe and stable. In the bathroom, ward, bedroom, pool or classroom; space is always an issue. OpeMed’s experience in designing the optimum layout saves space and allows a safer working environment. OpeMed operate to the latest Health & Safety as well as Quality Standards. 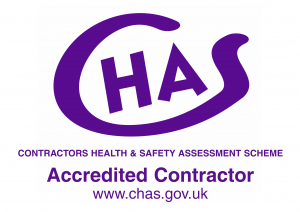 As well as ISO10535 we are proud to have achieved Construction Line, CHAS and Builders Profile approved status.